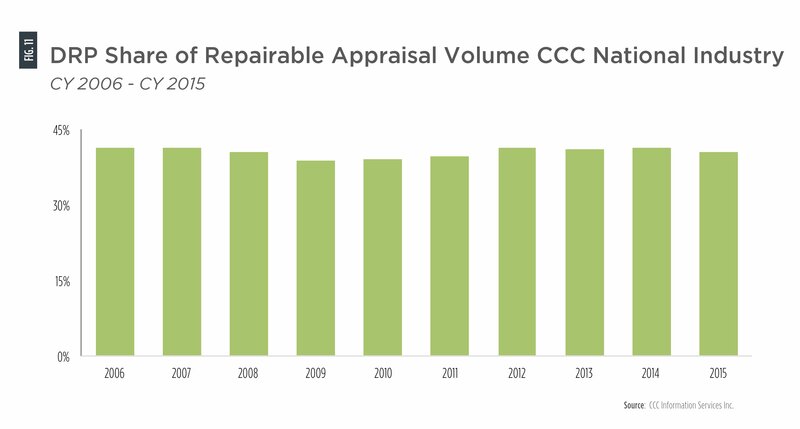 After booming in the 1990s, direct repair program shop volume has leveled off to a less than 45 percent share of appraisals patched through CCC, according to data in the IP’s 2016 Crash Course report. That volume is increasingly being concentrated among national multi-store operators. Since 2000, national MSO DRP market share has grown from 5.8 percent to 23 percent last year, CCC lead industry analyst Susanna Gotsch observed in a February video featuring data from Wednesday’s Crash Course. However that trend appears to be a function of national MSOs obtaining the DRP affiliations of the regional MSOs they’ve been gobbling up over the past few years, Gotsch said in an interview Wednesday. 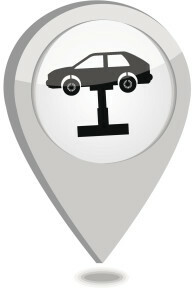 It doesn’t seem to indicate a disproportionate shift of the business to national MSOs. Independents’ DRP share has plunged as well to 62.2 percent in 2015 from 85.3 percent in 2000, but remember that national MSOs are buying those facilities as well. Dealerships appear to be regaining DRP market share in recent years after their DRP business dropped dramatically from 4.1 percent to 1.8 percent between 2002 and 2003 and stayed in that 2 percent range through 2010. In 2011, dealerships spiked a full percentage point to 3.1 of the MSO market, rose to 3.4 percent the next year, and ticked up to 3.5 percent in 2015. 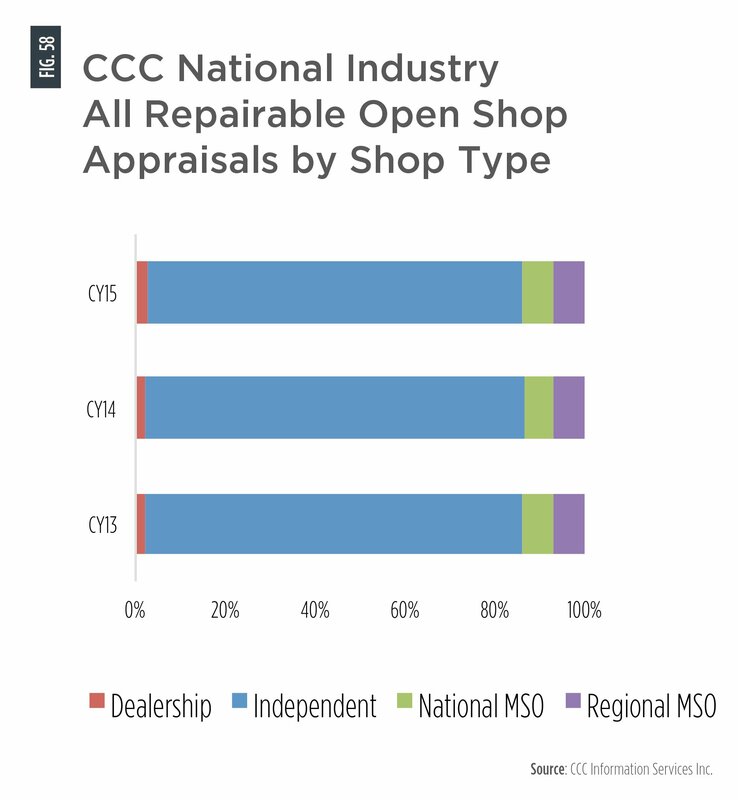 In terms of insurers actively seeking out non-DRP shops to perform repairs, CCC’s Open Shop Program only was used in less than 5 percent of appraisals in 2015, according to CCC. But that’s actually on the rise. “Adoption among carriers and consumers continues to grow, and therefore provides repairers an additional channel for business,” Crash Course states. 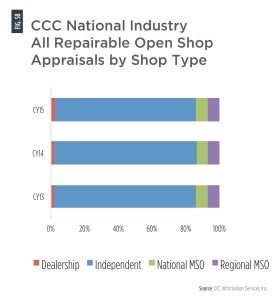 Nearly 85 percent of that handful of Open Shop appraisals went to independent shops, and in fact the numbers are virtually identical across all shop demographics between 2013-15. As for the overall number of shops in America (most of which are still independent, single-shop locations), CCC pulled multiple sources together to determine the country had 34,400 in 2013 and predicted the same amount stood in 2014, down from 37,048 in 2004. 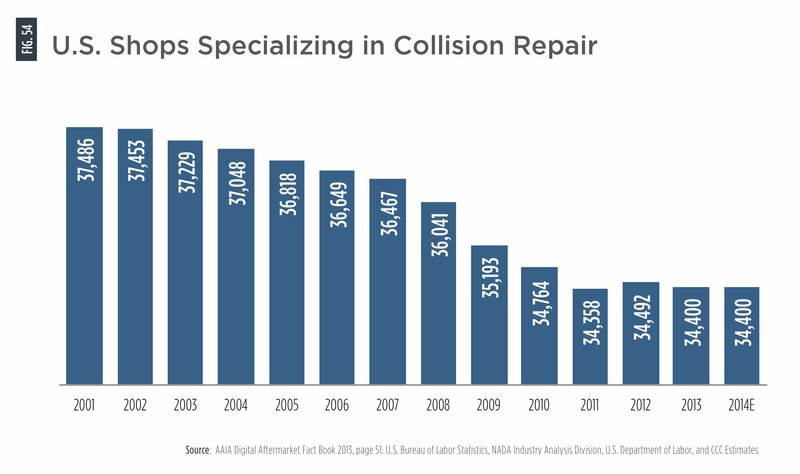 The Romans Group estimated in a Collision Week guest piece that 34,400 shops were operational in 2013, but only 33,500 remained in 2014.